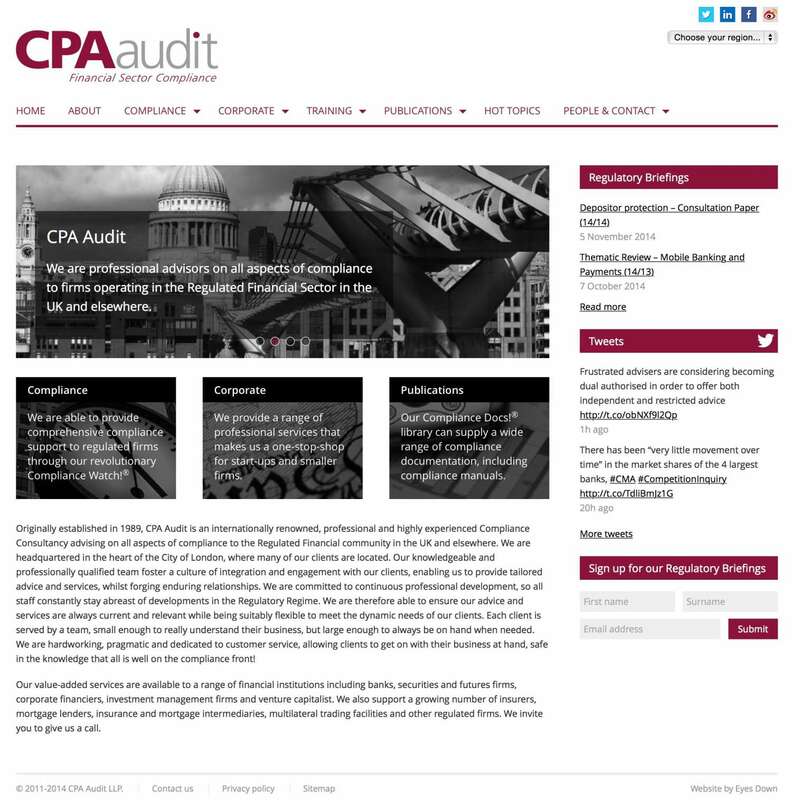 CPA Audit asked us to redesign their website with a fresh new look which works seamlessly on mobile devices. Great authors in their field, CPA also asked us to bring their writing and social media presence to the forefront of their new website design and to set and email marketing system to allow them to distribute new articles to existing and potential clients. The resulting design reflects our passion for clean, minimal design and ease of use. News feeds are present on all page and are syndicated to their Asian and North American websites which have also been redesigned.